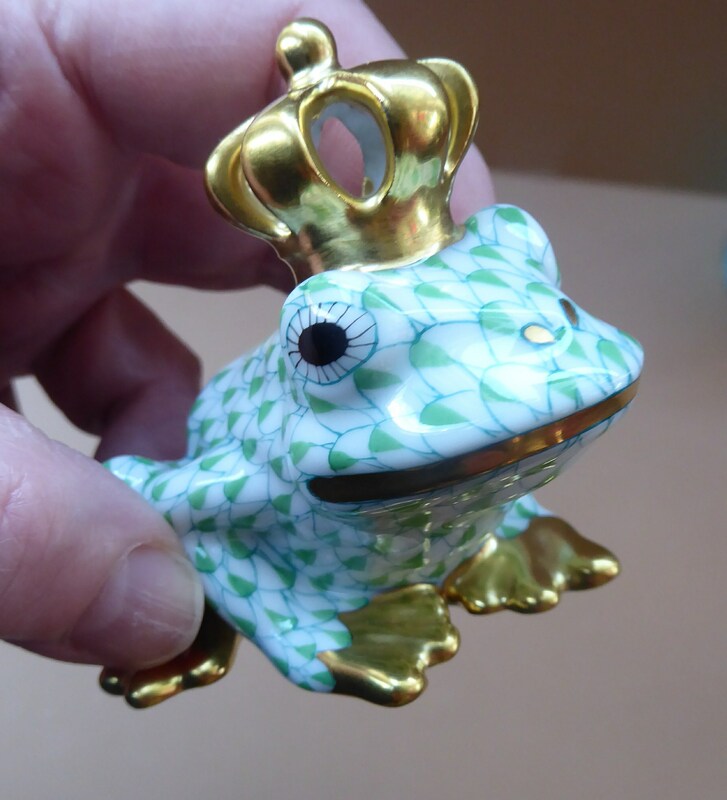 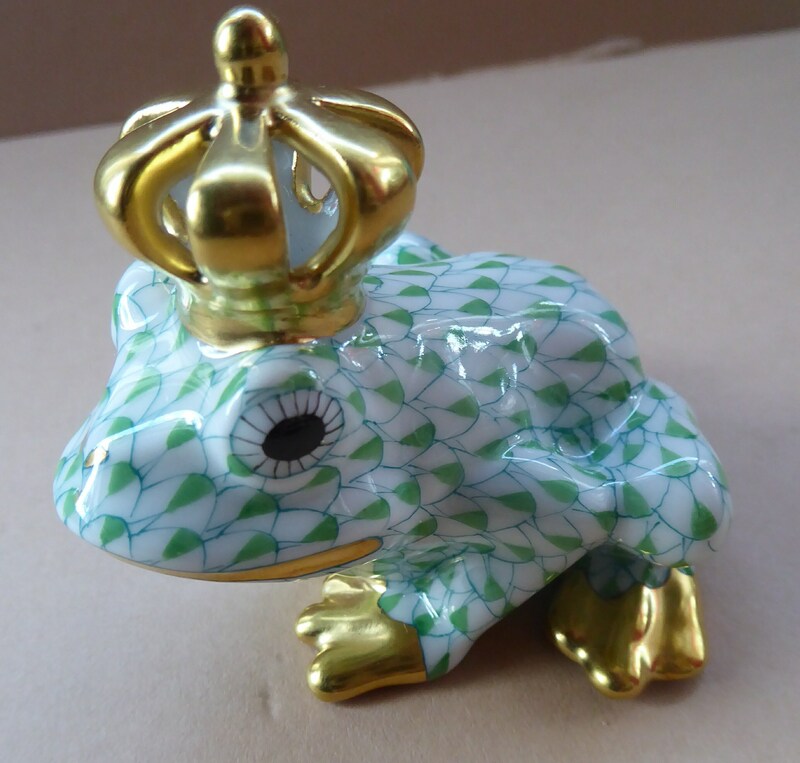 This is a cute little Herend porcelain model of a frog. 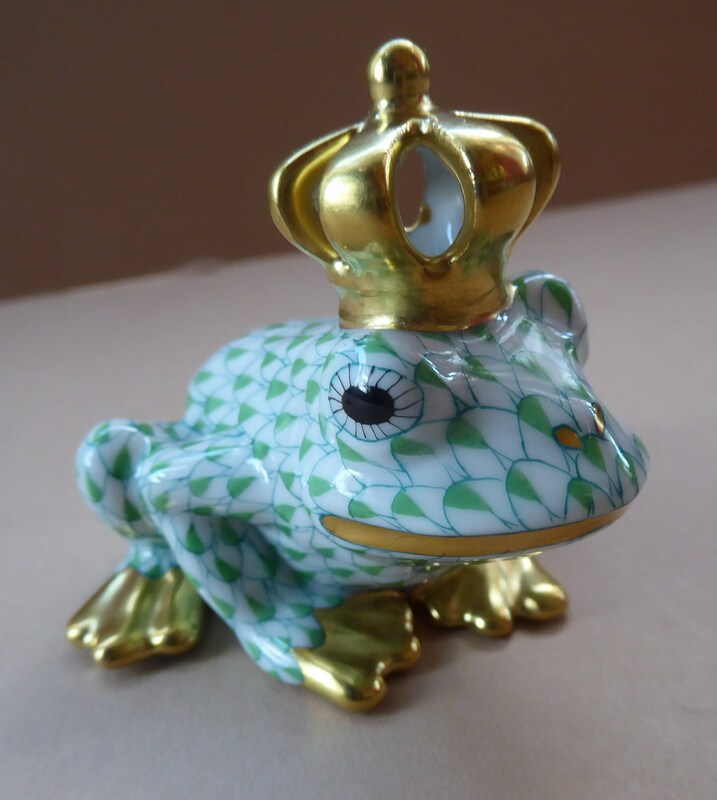 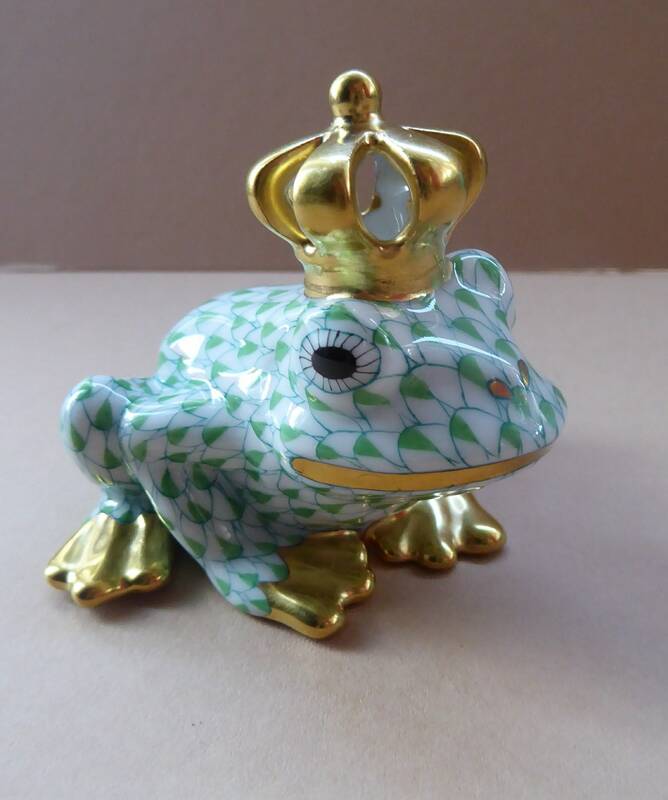 This one is a King Frog - and he wears a gold coloured crown. 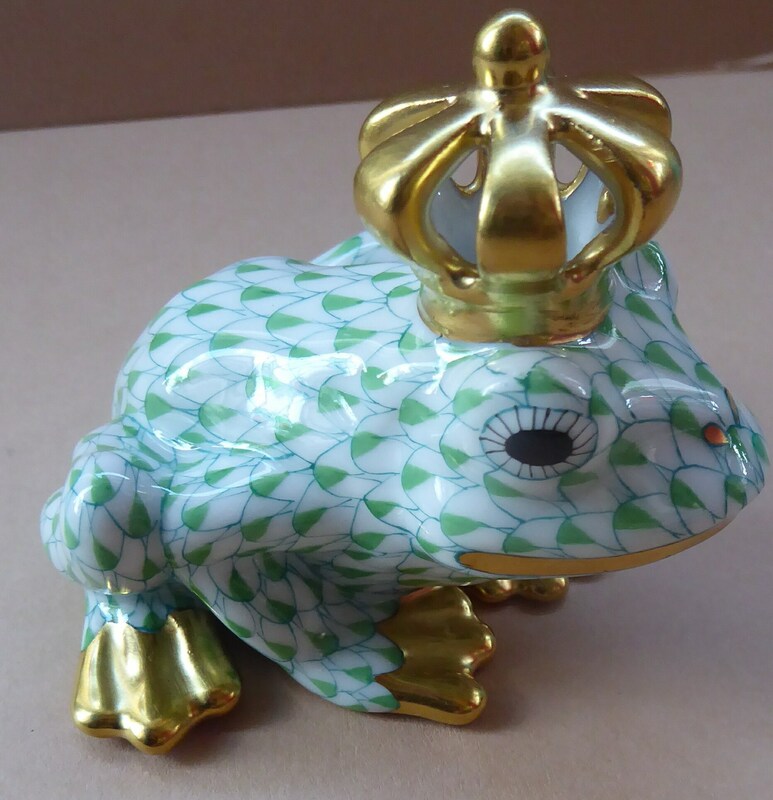 He has gold tips to each of his feet. 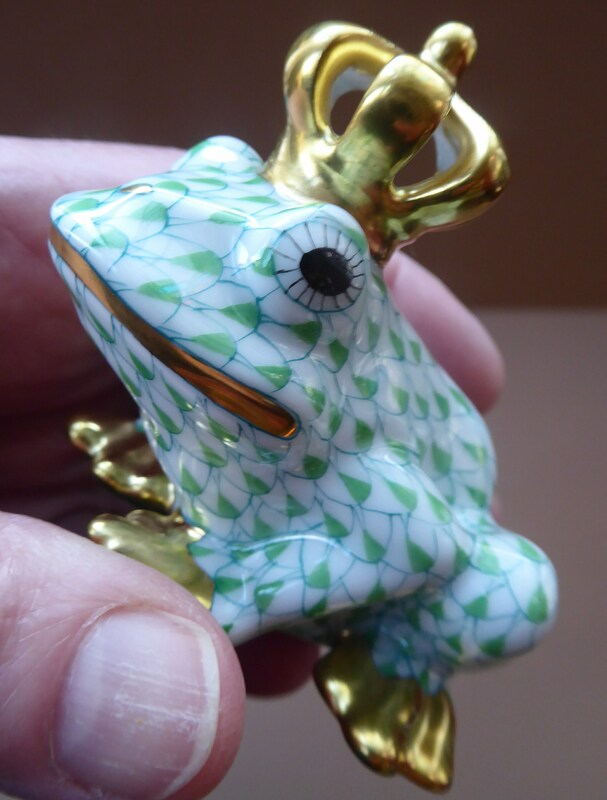 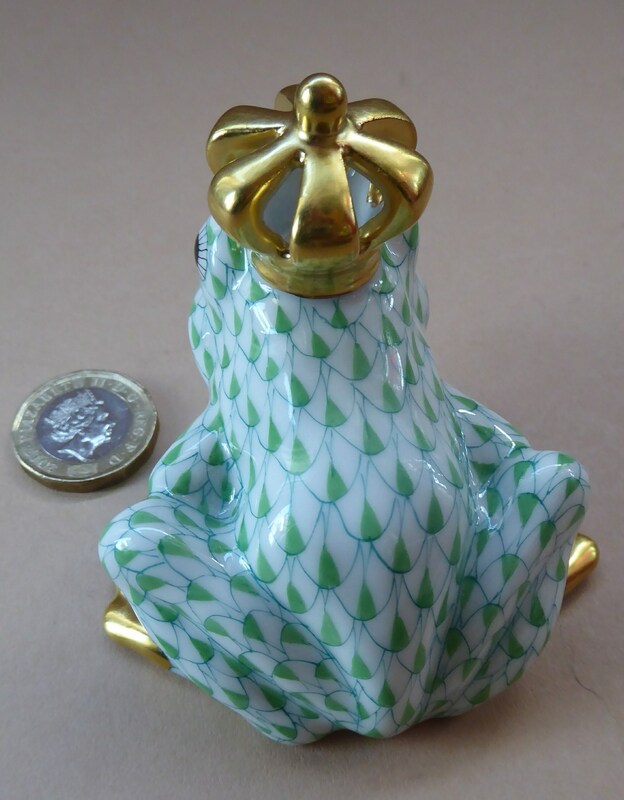 Mr Froggie is decorated all over with a light green fishnet pattern - which Herend is famous for. 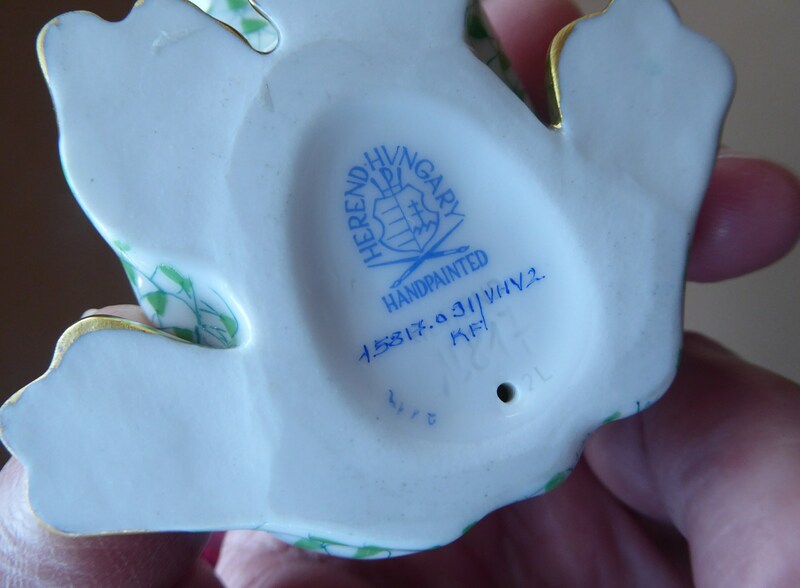 Needless to say - a top quality model and has no damages. 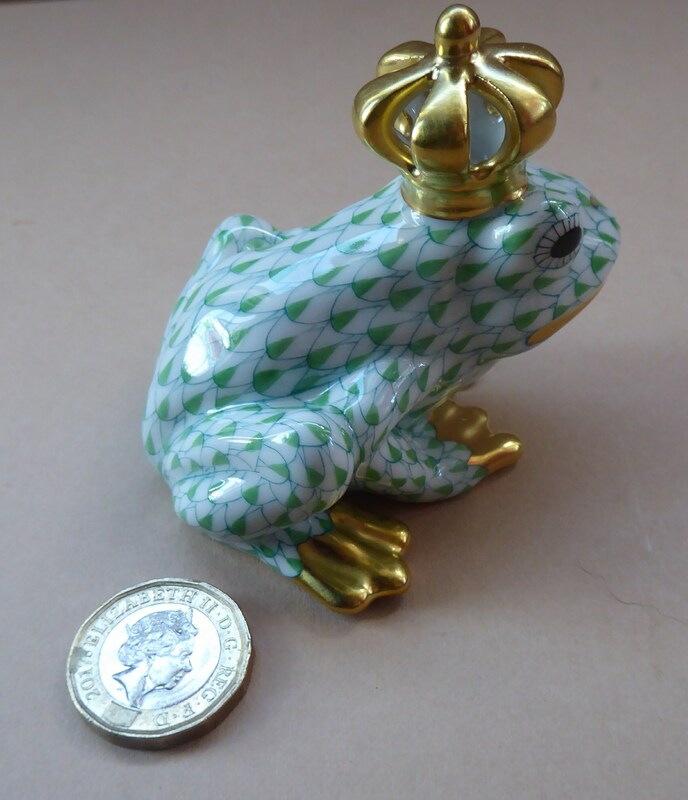 He is a nice size for display and as an addition to your collection. 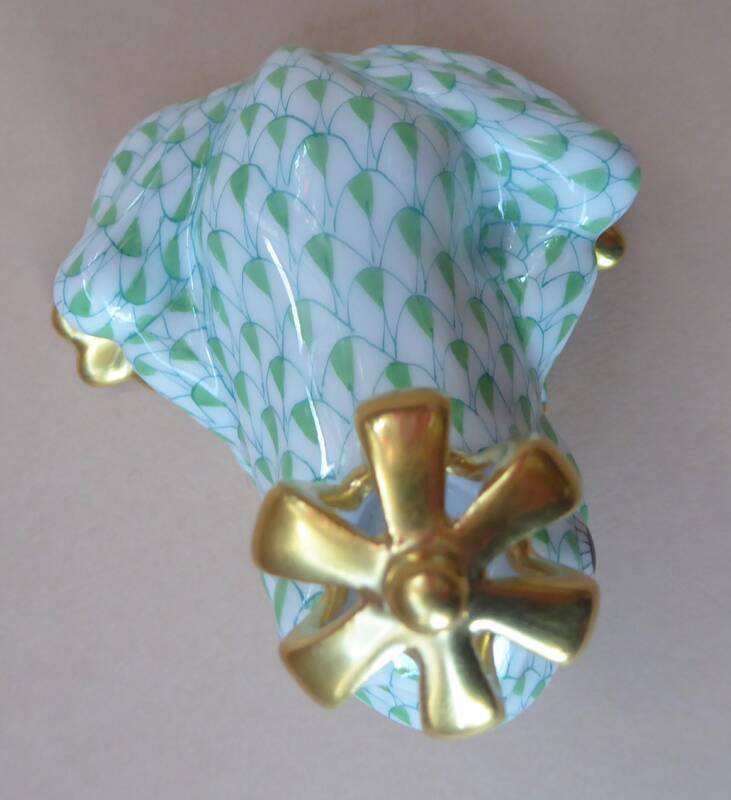 I also have a matching one but with a black fishnet pattern.